At Artistic Floors & Lights, we take our flooring seriously. After visiting the yearly trade shows in Las Vegas and Dallas, we bring back the most current and on-trend styles back to Minot. From vinyl, traditional hardwood, pre-finished or carpet - we've got your floors covered. At Artistic Floors & Lights, we offer a large selection of flooring options - available for any budget-level. Carpet, Vinyl Cortec, Pre-Engineered Floors & Hardwoods. We offer an amazing selection of colors and textures in our Vinyl Cortec line of flooring. 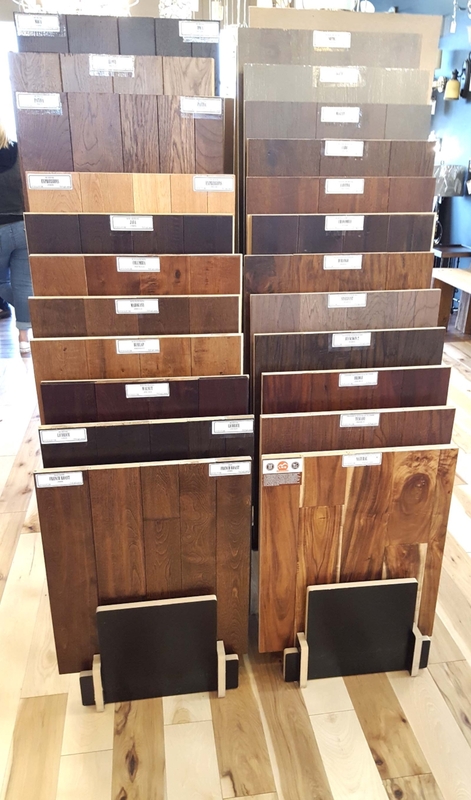 Come check out the new High Def Vinyl Cortec, that rivals the look of any hardwood, at a budget-conscious price! Our experienced hardwood flooring installers will guide you through the design process from start to finish. Choose from any wood such as hickory, maple, cherry...and decide if you'd like an inlay design or something more modern.